Part of a larger masterplan, the project was to refurbish the Science Museum’s existing 545 m2 Dana Centre, which was noisy and uncomfortable. It occupied the lower ground, ground and mezzanine levels of the Museum’s Wellcome Wolfson Building. The tall space had east-facing double-height glazing, where a reduction in glare and direct solar gain were priorities. 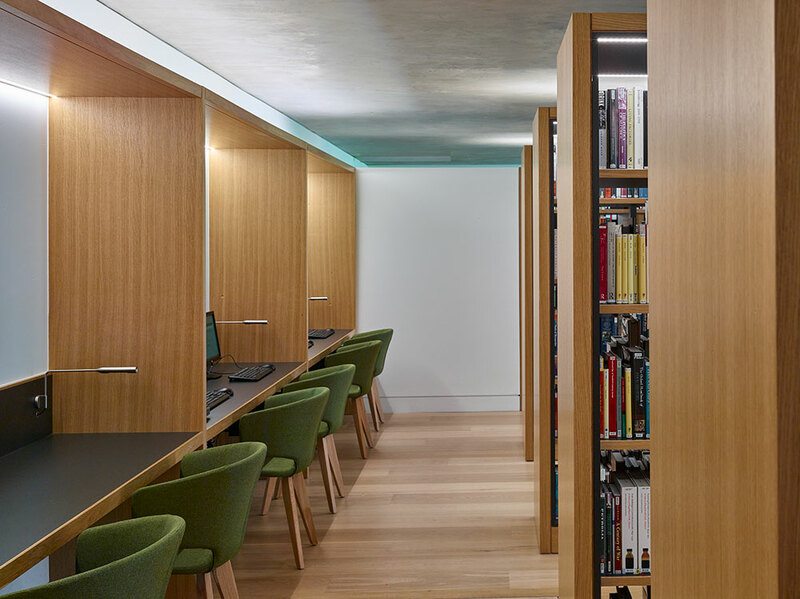 After winning the invited competition, we were asked to reconfigure the entire space to create the library, a research bar, quiet study area, staff offices, a rare book viewing area and a help desk, all focusing on the central reading room. 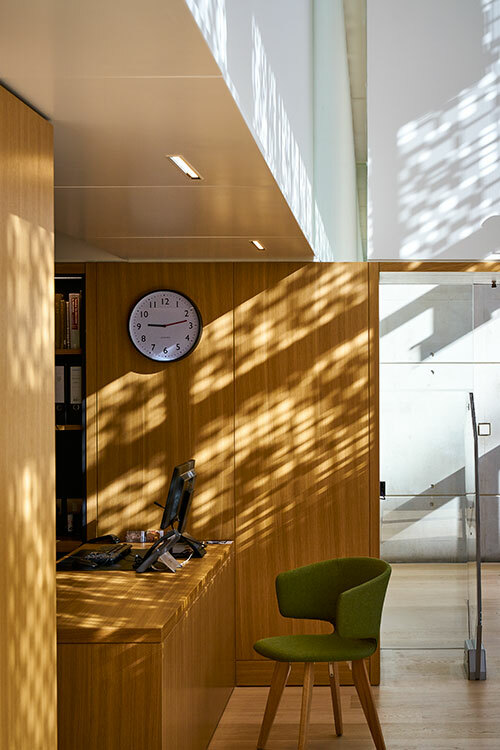 The client wanted an efficient and cost-effective design that resulted in quiet, comfortable and well-lit premises befitting an institution of its stature and reputation. 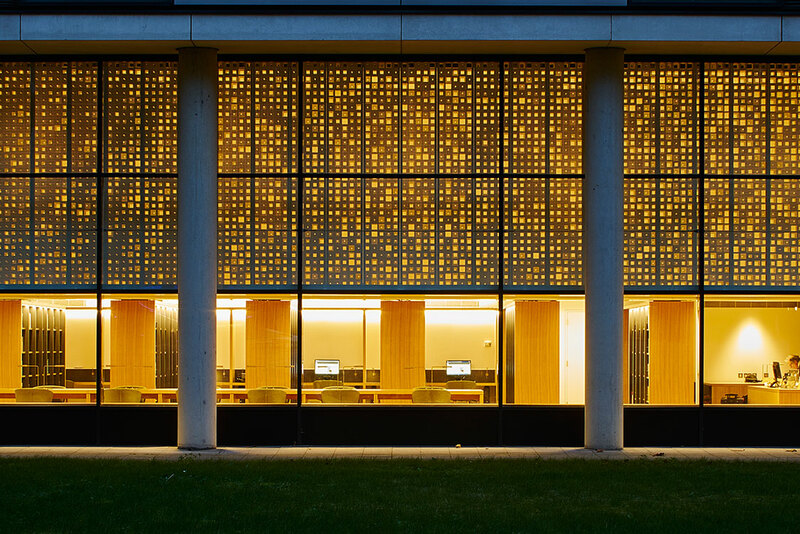 One of our central conceits was a double-layered perforated screen to reduce glare and solar gain from the east-facing glazing. It produces the dappled light you get under a tree canopy and looks like a computer punch card. Far from random, these effects were inspired by two critical moments in the history of science: the Jacquard loom control mechanism that predated the computer age, and the apple falling on Isaac Newton’s head, leading to an understanding of gravity. 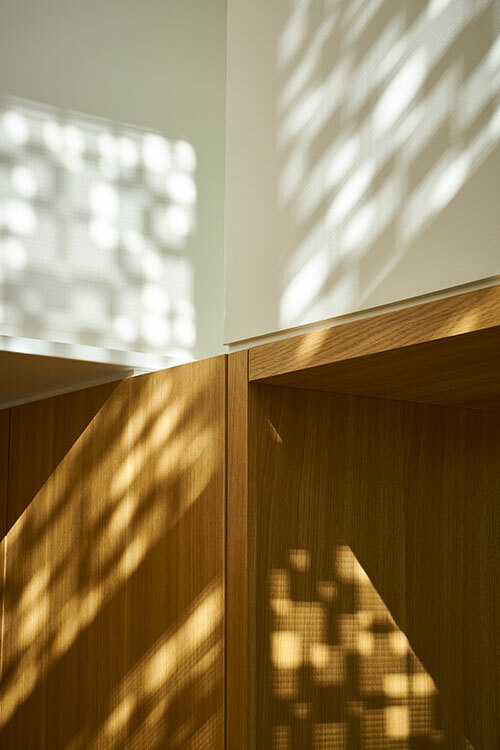 Bookcases surround the reading spaces, where mirrors, oak, and white walls complement the even, bright dappled light. The Research Centre occupies the Lower Ground, Ground and Mezzanine Level of the Science Museum’s Wellcome Wolfson Building. It includes a new entrance, a staff office and the library. 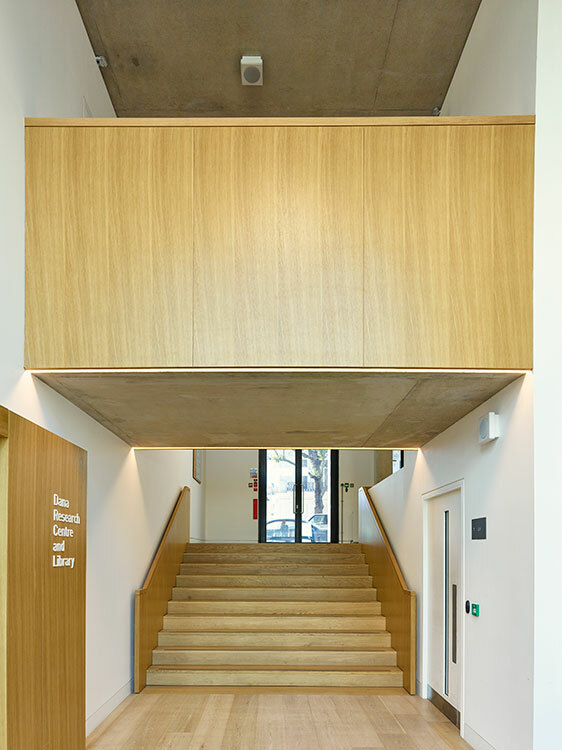 On entry the Research Centre is accessed through the new reception down a full width half flight of steps. On arrival at the lower ground floor a compact space provides a moment to pause. The Library is entered via an oak portal to the right. The Research Canopy can be seen through the glazing to the courtyard, lit at night it signifies the important new function brought to the Science Museum. 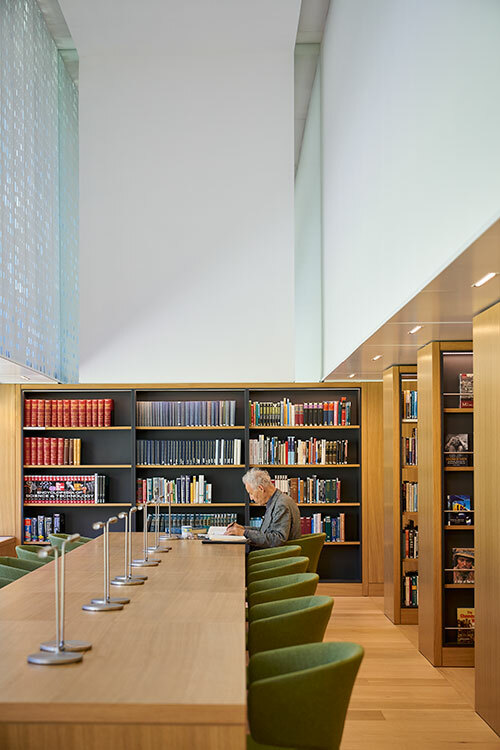 Coffey Architects conceived the Library as a canopy of ﬁltered light under which research, reading and contemplation take place - this thought was inspired by the story of Newton sitting under a tree as an apple falls on his head. 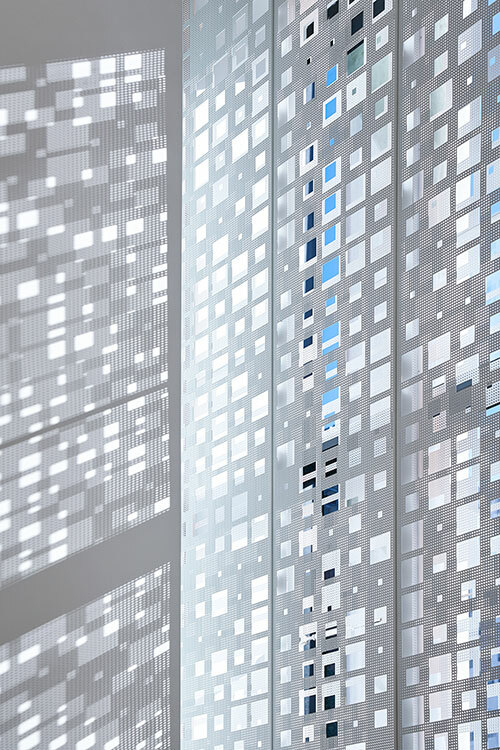 Double layered perforated panels in the Reading Room reduce glare and direct solar gain while creating dappled light that recalls being under a canopy of trees. The library is entered through an oak portal. Passing through this portal the atmosphere changes. Bathed with dappled light like tree tops of ﬁltered light under which research, reading and contemplation take place Below the canopy the activities discreetly filter to and from the central Reading Room and there is a quiet buzz of work. The mezzanine contains the staff areas while below the mezzanine, an oak lined Research Bar, Quiet Study Area, a Rare Book Viewing Area and the Help Desk are located amongst the main bookcases. 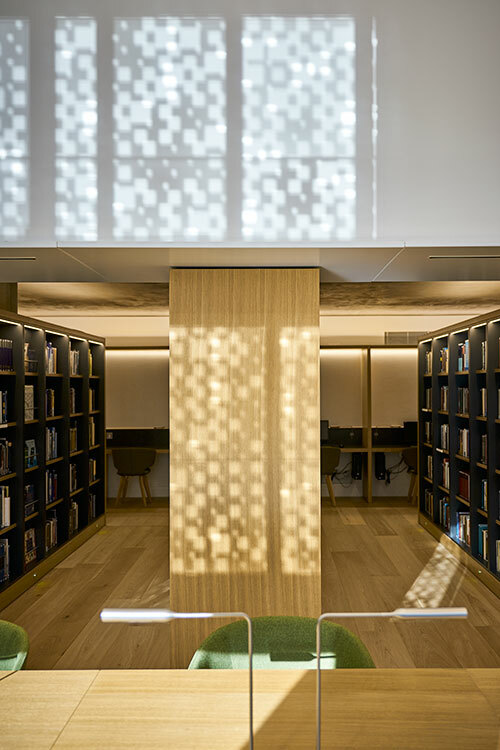 The bookcases create a warm and welcoming landscape for research. 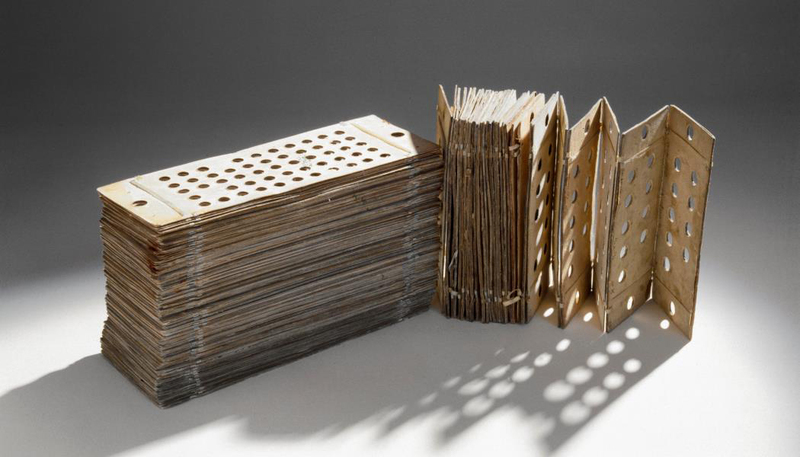 The design process included lots of different model studies to investigate the overall concept as well as the details such as the perforated facade panels.